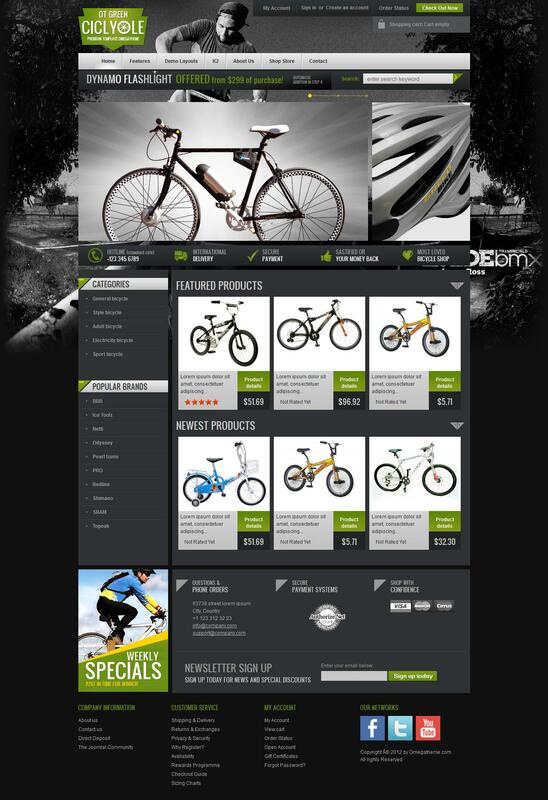 OT BicycleGreen - another quality online store template for Joomla 2.5 from professional studio OmegaTheme. This template fully supports component online commerce Virtuemart 2.0 and popular materials manager K2, which in turn is perfect for creating any website. Corporate rotator Hot Effects Rotator allows flexible display materials on the site, and the presence of 28 module positions ensure the right to display all items. Functional platform Solid Framework provides fast loading pages, optimized code template files and full support for mobile devices.